The Steam MOP with Built-In Portable Steamer is designed not only to thoroughly clean floor surfaces, such as marble, ceramic, stone, linoleum, sealed hardwood floor and parquet, but get your entire house clinically clean! 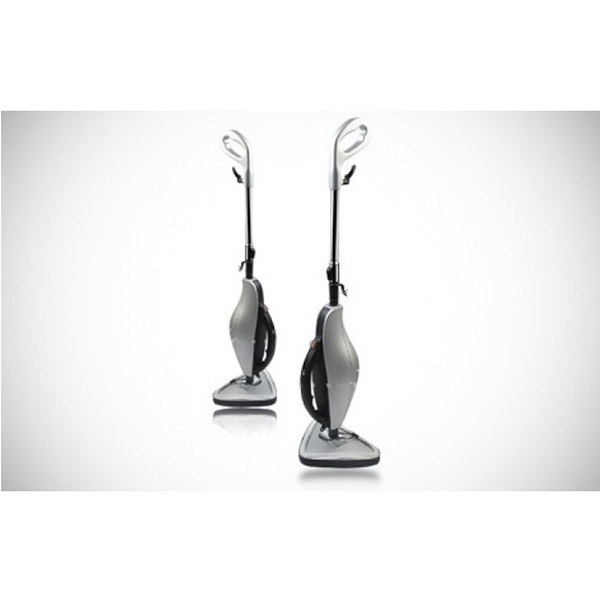 The Steam MOP deodorizes sanitizes and increases cleaning power by converting water to steam. It also uses a microfiber floor cloth to enhance absorbency. When contact is made with floor surfaces, dirt and grime can be eliminated in a matter of seconds. Just detach the steam generator from the Steam Mop base and becomes a powerful handheld steamer. Cut trough baked on oven mess, sanitize kid's toys, blast away dirt in grout even steam clean blinds! Attached the Carpet Glider and it converts into a carpet steamer! The dirt stops here! Garment Steamer: Don’t spend hundreds of dollars on a traditional garment steamer. The Steam Mop has an integrated one! Quickly remove wrinkles and creases from any clothing instantly. No more hot irons or clumsy ironing boards – just hang up your clothing and steam!